Teeth whitening is one of the most popular procedures in cosmetic dentistry in St. Louis . Dr. Spalitto routinely performs teeth whitening procedures in his office, helping patients achieve brighter smiles in just one visit! The teeth can lose their white color for a variety of reasons. Teeth can become externally stained by food, dark beverages, or tobacco products. A dentist also treats teeth that have become internally discolored due to cavities or after a dental procedure. Some medications may also cause the teeth to appear yellow or darkened. Finally, teeth can lose their white sheen for genetic reasons or as a natural side effect of aging. Fortunately, cosmetic dentistry now provides many safe and effective teeth whitening solutions. Learn more about teeth whitening and other cosmetic dentistry procedures by calling Dr. Spalitto at West County Dental at (314) 821-2712. We do in-office teeth whitening that only takes twenty minutes and doesn’t cause any sensitivity. After root canals in St. Louis with Dr. Spalitto, you can expect some tenderness, but an overall quick recovery. Some patients may be wondering, what is a root canal? Root canals are procedures performed by a dentist to repair and save teeth that have become badly decayed or infected. While some people feel understandably anxious about root canal pain, root canals are very common procedures in modern dentistry and are perfectly safe. Continue reading to find out more about what you can expect after you visit Dr. Spalitto for a root canal. After your dentist completes your root canal, you should expect some sensitivity and soreness. Remember, root canals are minor surgeries, and the mouth needs time to heal. As your body undergoes the natural healing process, be sure to follow your dentist’s instructions to ward off lingering root canal pain. You can take over-the-counter pain medications to reduce pain and swelling and you may also want to rely on soft foods to avoid biting down. After your root canal, your tooth will either be sealed with a permanent or temporary filling. If a temporary filling is placed, you should not chew on the tooth until it is restored by your dentist. In the meantime, you may expect for a thin layer of the filling to wear off and for the tooth to feel slightly sensitive and fragile. However, the initial swelling should die down after a couple days. Contact your dentist if it does not. To ensure your tooth’s long-term health, you will need to return to your dentist to have the tooth restored in a second appointment. Because a tooth that needs a root canal almost always has a filling or significant decay, a crown or other restoration is placed to make the tooth functional again. Find out more about root canals or schedule an appointment with Dr. Spalitto by calling the team at West County Dental at (314) 821-2712. Our office practices family dentistry and cosmetic dentistry and is pleased to offer the latest dental procedures and techniques. Call us today or visit our website to learn more about our services. If you suffer from dental anxiety , you may want to consider visiting a sedation dentist who practices family dentistry near St. Louis. 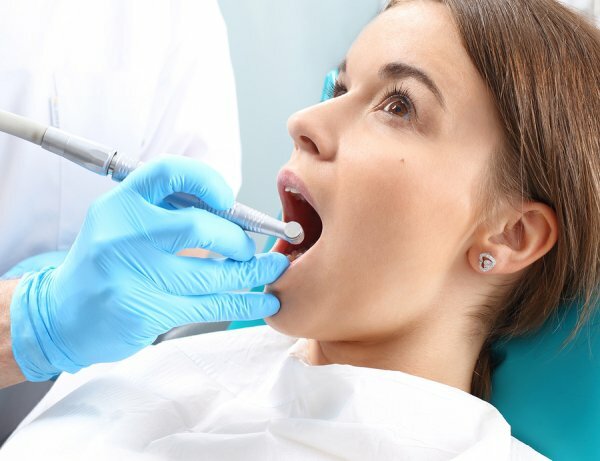 Many dental patients feel nervous or afraid before going to the dentist, but a sedation dentist can ensure that the entire experience is calming and pleasant! Sedation dentistry uses medication to relax patients during their visit to the dentist’s office. 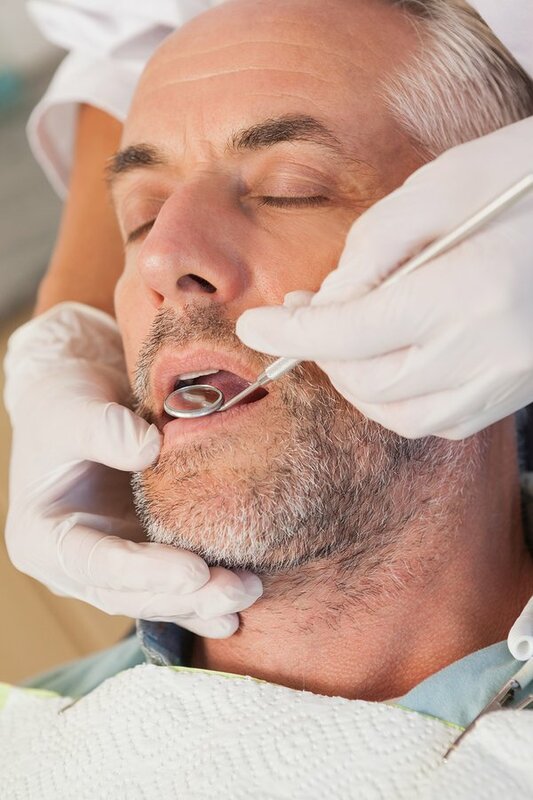 Sedation is generally safe for patients of all ages and for a variety of procedures in family dentistry. When a dentist administers medication, patients are immediately relieved of anxiety. With nitrous oxide, patients experience a mild sedative effect but are still able to communicate with a dentist throughout the visit. Patients can still communicate with their dentist, but may not remember much of the visit—and will need a friend to drive them home. If you prefer to avoid needles, your dentist can administer sedation through oral medication instead. Find our more about sedation dentistry or family dentistry by speaking directly with a sedation dentist. Call Dr. Spalitto at West County Dental at (314) 821-2712 to get started!